To inspire and enable all young people, especially those who need us most, to reach their full potential, as productive, caring and responsible citizens. The Boys & Girls Club of Muncie is a catalyst for civic engagement, and success is within reach of every child, and whole generations of children are inspired. Boys & Girls Club of Muncie has been a cornerstone of the community since opening its doors in 1933. Serving some 600 youth, Boys & Girls Clubs of Muncie provides a safe,structured and positive environment for young people after school, during holidays and summer vacation. We are grateful to all our sponsors who see the importance of helping Club kids and have partnered with us to impact their lives. To provide a safe environment and have a positive impact on their lives. 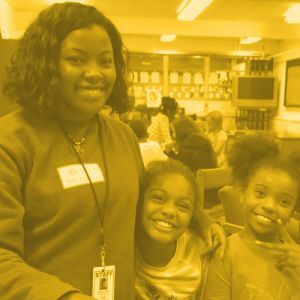 We create meaningful connections with individuals and organizations, are intentional in our pursuit to create measurable change in the children and families we serve, and operate with integrity, attention to detail and excellence. Provides after-school and summer programming for youth, grades K-12. Well-trained staff and volunteers provide safe, affordable supervision and fun programs to enhance the development of your child. We are accountable to our children, families and the community at-large. We are committed to doing the best, being the best and expecting the best. Our programs provide quantifiable outcomes that prove we are making changes in attitude, aptitude or the behaviors of our members. Programs must be safe, fun, provide positive relationships and have high expectations and recognition. All decisions will be based on our mission.